As we announced earlier this week through our Announcement Email list, the Alternate Reality Gaming Network is proud to be named as a network partner for the PICNIC ’06 Cross Media Week event. PICNIC ’06 is Amsterdam’s new annual event focused on creativity in cross media content and technology, specifically in the fields of entertainment and communication. The event will take place from September 27 – 29 at the Westergasfabriek, a cultural facility located in a former gas factory in Amsterdam. PICNIC ’06 will include a conference for paying delegates as well as a public program which includes lectures, an exhibition, art installations and parties. PICNIC ’06 is being supported by the Dutch Ministry of Economic Affairs, the City of Amsterdam and a variety of corporate and service partners. For complete information about the event, visit www.crossmediaweek.org. PICNIC ’06 organisers are expecting approximately 1000 delegates from Europe, North America and Asia. Speakers will include top creatives and entrepreneurs such as Michael B. Johnson, Moving Picture Group Lead at Pixar Animation Studios, Simon Guild, President and Chief Executive of MTV Networks Europe, John de Mol, Co-Founder of Endemol and Founder of Talpa, Craig Newmark, Founder of craigslist, Philip Rosedale, Founder of Linden Lab/Second Life, Jamie Kantrowitz, Senior VP Marketing Europe at MySpace, Lorraine Twohill, Marketing Director in Europe for Google, Marko Ahtisaari, Director of Design Strategy, Nokia, Reinier Evers, Founder of Trendwatching.com, Dan Gillmor, Founder and Director of the Center for Citizen Media, Marc Canter, Founder and CEO of Broadband Mechanics, Joseph Jaffe, Author of “Life after the 30-Second Spot”, Matt Locke, Head of Innovation at BBC New Media & Technology, Emile Aarts, Vice President and Scientific Program Director at Philips Research Laboratories, and many more. You can read more about the network partners at the PICNIC ’06 web site. If you want to attend the event, we have great news for you. As a network partner, we are able to pass on a discount to our subscribers for three-day passes as well as single-day passes. Simply register by clicking here, then when prompted, use the promotion code provided to you through the Announcement List (click here to subscribe, if you haven’t already). That will enable you to get a total conference pass for € 500 plus VAT (normal rate: € 750 plus VAT), or a day pass for € 300 (good for either Thursday, September 28th or Friday, September 29th). 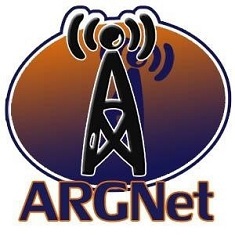 ARGN is in some pretty elite company, as a network partner. Participating industry associations and cultural institutions include: Alternate Reality Gaming Network, Amsterdam International Fashion Week, Association of Dutch Advertisers (BVA), Association of Dutch Communications Agencies (VEA), Association of Dutch Designers (BNO), Association of Full-Service Dutch Internet Agencies (PIBN), Berkeley Cybersalon, Chinese Radio, Club of Amsterdam, Dutch Dialogue Marketing Association (DDMA), East of England Multimedia Alliance, European Archive, European Journalism Centre, Europrix Top Talent Award, Federation of European Direct and Interactive Marketing (FEDMA), Global IT Association for Telecommunications (ETIS), Immovator Cross Media Network, Innovatieveiling, Interactive Professional Association Netherlands (IPAN), International Advertising Association (IAA) Netherlands, Internet Society (ISOC) Netherlands, Kendra Initiative, Mediagilde, Mediamatic, MultimediaN, Nederlands Instituut voor Marketing (NIMA), Orange Alert Dutch Design NYC, Paradiso, Stichting Internet Reclame (STIR), Syntens, Virtual Institute for Research into Media Culture Amsterdam (VIRMA), Virtueel Platform, World Summit Award, Utrecht School of the Arts and Waag Society. We are honored to be included with such elite company and look forward to seeing many of our readers at the event! I Left My… Cube? in San Francisco?